The Sundridge Sunflower Festival is the largest annual summer festival in the Almaguin area. 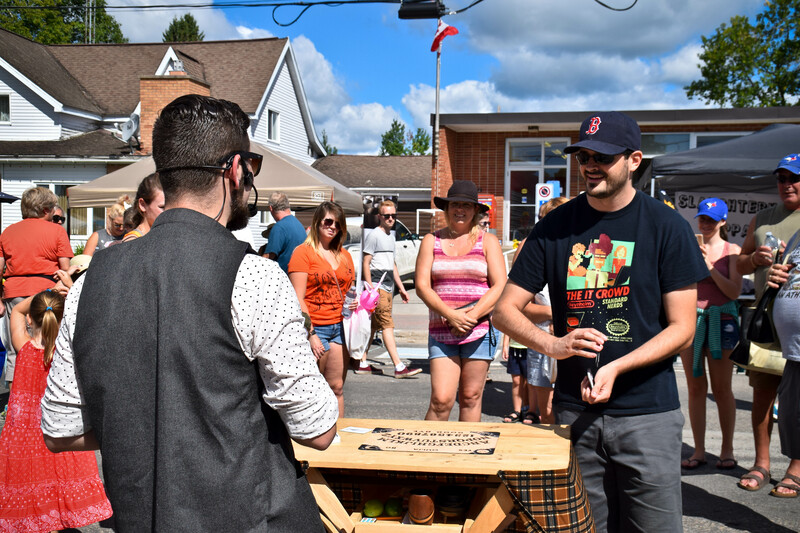 Located downtown in beautiful Sunny Sundridge, Ontario this festival features live music, family activities, great food and a street market with over 150 vendors. With new activities and events added every year this year’s festival will be better than the last. Our 2018 Sunflower Festival was a very successful year with an attendance of approx. 6,000 people. That means more than 6 times the population of Sundridge came out to enjoy the Sunflower Festival! We hope that we can continue this success on August 10th, 2019! The Sundridge Sunflower Festival planning committee is currently organizing all of the festival details for 2019 and stay tuned to this website and LIKE US on Facebook for continual updates about the festival. If you or someone you know would like to volunteer for the 2018 Sundridge Sunflower Festival, please send us an email at info@sunflower-festival.com We are always looking for helpful volunteers to help make our festival bloom.